Jaguar X type is a member of the compact car family and was produced from 2001-2009. This car was designed to combine the forces of good power along with a luxurious ride for up to five people. This model featured a 2.5 liter V6, as well as a 3.0 liter V6. The 2.5 liter produces around 200 horsepower and the 3.0 liter features 231 horsepower. Both engines feature dual overhead camshafts (DOHC), with 4 valves per cylinder and variable valve timing (VVTI). Looking for Used Jaguar X Type Engines for Sale? Are you unsure which engine you have? If you know where the vehicle identification number (vin) is you can look at the eighth digit. The letter d indicates your vehicle features the 2.5 liter V6. If it is the letter c, you have the 3.0 liter V6. The vin number can be located in a few locations, but the most common are at the base of the windshield on the driver’s side and directly mounted on the door frame. We can order any of the engines for you in a matter of days. How can we offer such quick service at such a low rate? Simple, we have direct connections with the factories and can order them to your specifications and save you the money of going through the expensive mechanic shops. If you go through a local shop, you may deal with the “good ole’ boy” who portrays the role of being your friend and you are sort of shielded from knowing his true purpose. When going through a dealership, you are not on a very personal level and the engine must still be ordered in, but you are paying to support the mechanics and the dealership’s large overhead. Timing is crucial when you are in need of a new engine. You are unable to get to and from work, take the kids to school, or do much of anything for that matter. 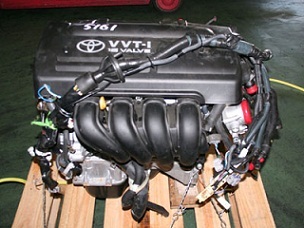 When you buy an engine from us you are getting a certified factory engine and cutting out that dreaded middle man, such as the dealer and small town mechanic discussed earlier. Check out the amazing feedback left by our customers, this alone tells how fast and efficiently we can have your engine in stock and ready for delivery. It also speaks from a customer’s perspective as to the quality of our used engines. Remember, before you call anyone for a quote, shop with us and save money. Used engines for Sale has your low mileage used engine now.